This is the name of an organisation which I established in 2001 to import useful publications for Australian brain tumour patients and their carers. A pamphlet describing these publications has been distributed to all major radiation and oncology treatment areas in Australia. There are many people who do not have access to the Internet and therefore cannot download or read many of the useful documents which are available. This is an attempt to reach and help those people. BTP&R is a purely non-profit charitable organisation. Pamphlets and booklets are sent to people when they enquire. No charge is made but donations to keep the project going are welcome. These can be sent to me at this address: Denis Strangman, 10 Carrodus Street, Fraser, ACT 2615, Australia. Unfortunately the service can only supply items to Australian residents. Many major countries have well-established brain tumour research and support organisations which will also supply publications on request to their residents but Australia does not yet have such an organisation. 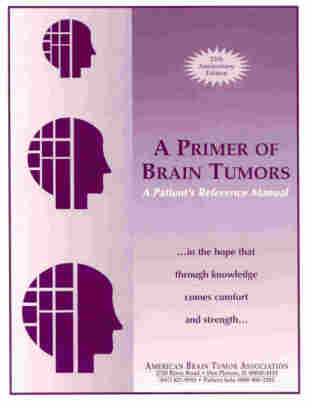 "A Primer of Brain Tumors -A Patient's Reference Manual" - American Brain Tumor Association. 140 pps. 25th Anniversary Edition. 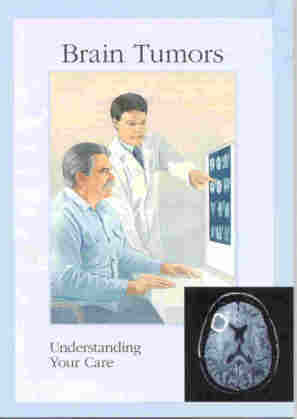 "Brain Tumors - Understanding Your Care" - National Brain Tumor Foundation (US). 24 pps. 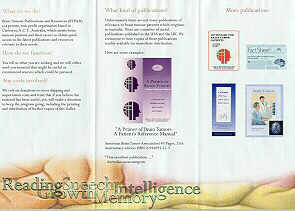 "Coping With Your Loved One's Brain Tumor" - NBTF - Booklet - 12 pps. 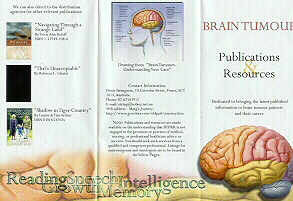 Fact Sheets - NBTF - Various. Click here to return to the main webpage for Marg's Journey.